This week we learned all about spiders! 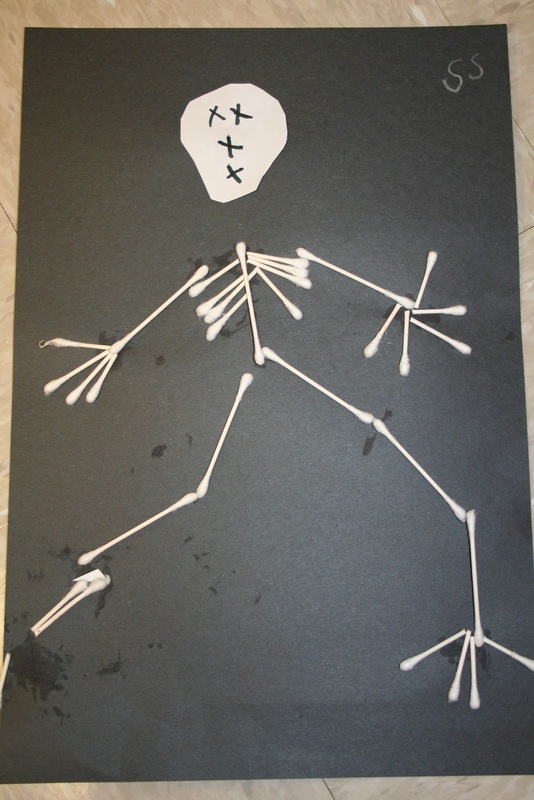 To begin our unit, we graphed whether or not we were afraid of spiders. 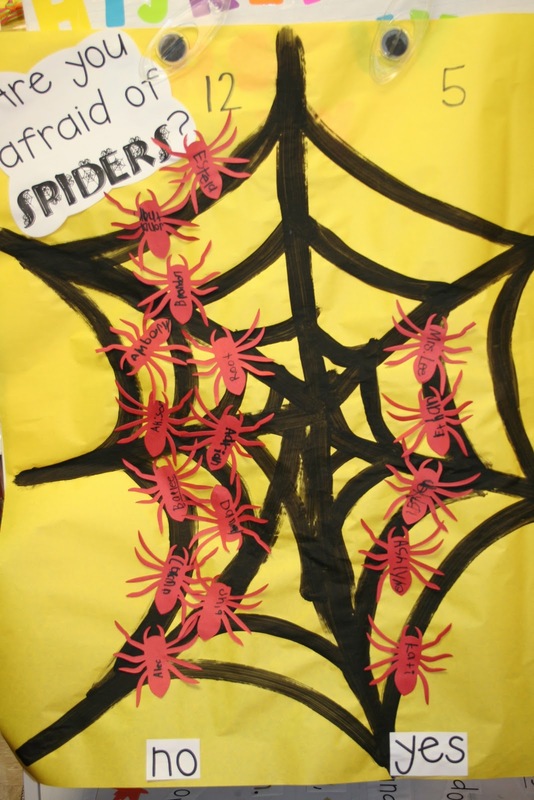 The kids were surprised to find out that Mrs. Lee IS afraid of spiders, but I had so many little volunteers to take care of the spiders if we ever have one in our room. 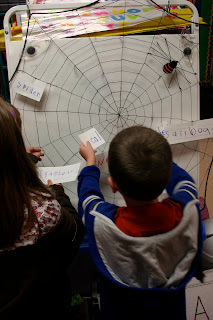 We also created a K-L chart about spiders. (we left our the W part, but we did talk about what we wanted to learn from our studies this week) We knew a little about spiders, but check out everything we learned by the end of the week. Spider week is a busy one. 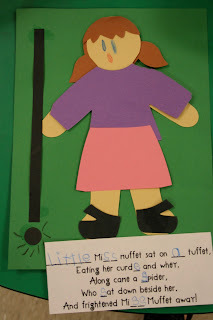 We made a retelling activity for The Itsy Bitsy Spider, we also made Little Miss Muffet and filled in the missing letters....S. But, the most fun was our tea party with Mrs. Ray's class. We read Miss Spider's Tea Party and then we tasted three different kinds of "tea" (juice). We graphed our favorite "tea". 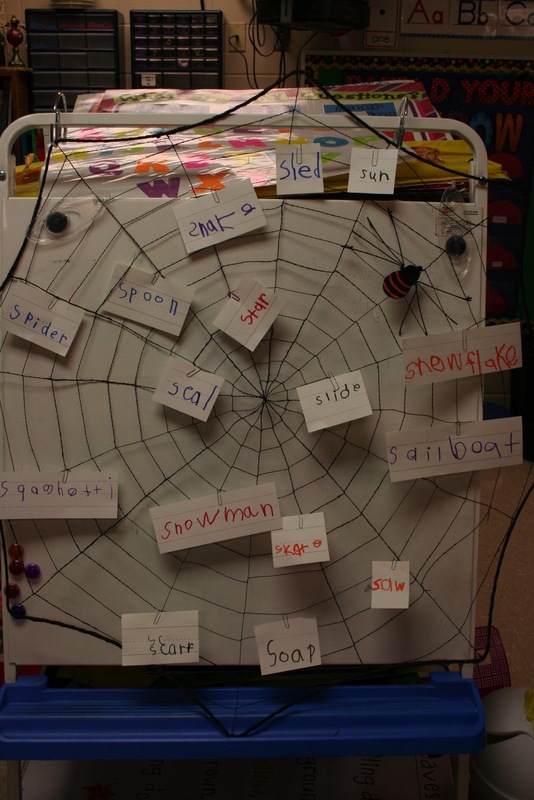 LOVE LOVE the spider web idea! 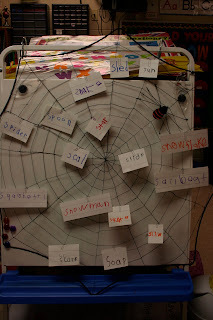 I have two of those webs, they are perfect for a word bank! We are just getting ready to learn about spiders this week! What great ideas you have!! I would love to know the poem you used!! 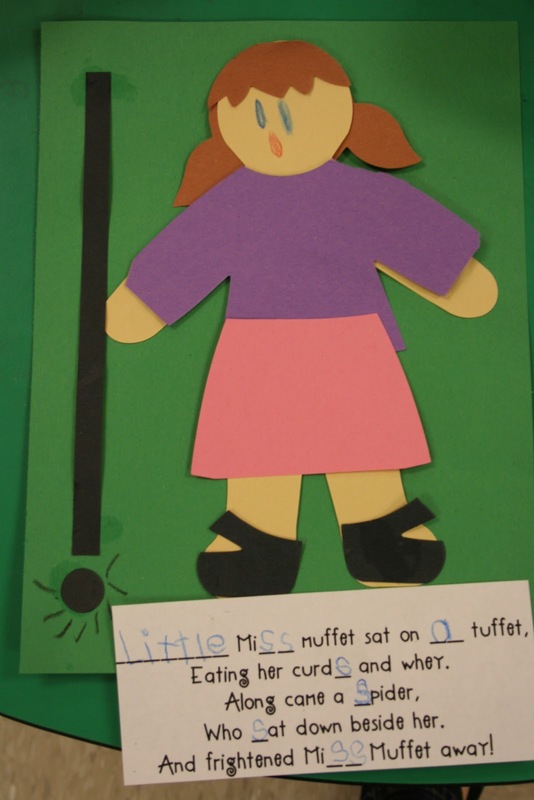 Our focus poems were The Itsy Bitsy Spider and Little Miss Muffet. Did that answer your question? I meant the one with the color webs! But I clicked on the picture and it made it big enough for me to read! I also went to Wal-Mart and bought those spider rings...I gave a handful to a pair of students and a die. What a great math game! They were engaged the whole time! They didn't even want to stop to go to recess! Where did you get the big spider web? Where did you get that spider font? Is it DJ iNKERS?? Your spider unit is excellent! Thanks for sharing so many ideas! 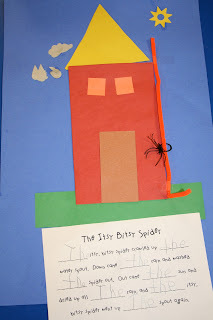 I loved the "Itsy bitsy spider" craft! 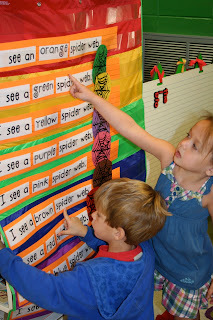 Are your patterns for the Itsy Bitsy Spider craft and the fill in the blank sight word poem available anywhere?